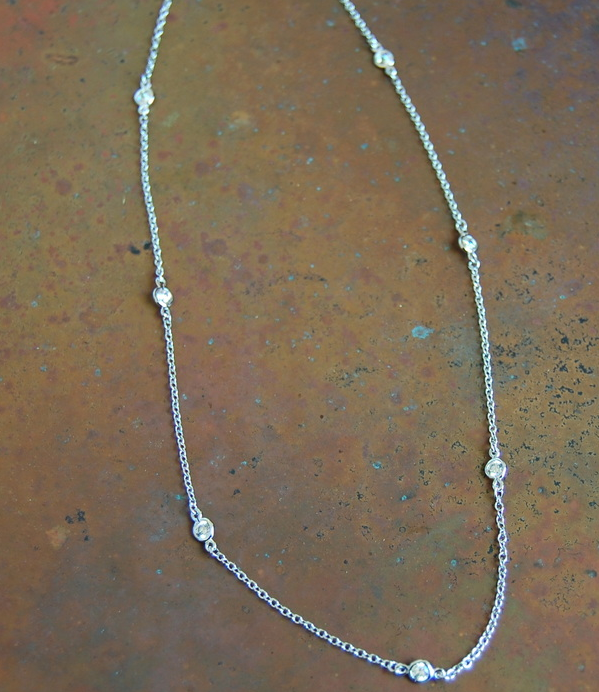 I recently welcomed my newest sponsor, LouLou Sucre, to my blog and I'm thrilled that Sabrina has agreed to give away one of her beautiful necklaces. If you haven't checked out her shop...you're missing out! She has a ton of gorgeous jewelry, entertaining essentials, personalized items and more! 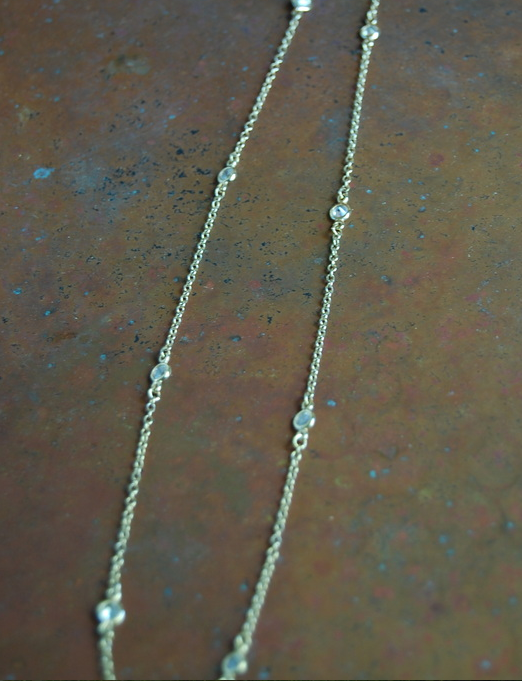 Lucky for all of you, she's giving away her "By the Yard" necklace in your choice of silver or gold, which values at $40! She's giving you the option to choose the 16" or 18" necklace...they're super versatile and great for layering! A special thanks to Sabrina for this awesome giveaway! The contest will end Tuesday, May 1st at 5pm pacific time and the winner will be announced on Wednesday, May 2nd. Good Luck! What a great give away! I'm following on Pinterest:) Thanks Natasha & Sabrina! Followed her blog and subscribed! Great giveaway! Oh what a great giveaway! The necklace is gorgeous...I hope I win! I follow LouLou's blog! And I follow on facebook! And I'm following on Pinterest too! ... and twitter! Great blog and thanks for the into! I follow her blog and am following loulousucre on pinterest! Lovely giveaway! I've followed LouLou Sucre blog and signed up for the mailing list! Followed and subscribed. Great giveaway!! I follow her blog and subscribed! I'm following LouLou Sucre's blog, and I'm on the mailing list...I love that necklace! Following on Pinterest and subscribed to the mailing list. Following Sabrina's blog & LouLou Sucre shop! Following LouLou on Pinterest too! Got her covered! oh i would love the gold version! I am following Loulou Sucre's blog and the shop's mailing list! A great blog and shop. I love Sabrina! I liked Loulou sucre on pinterest! I liked Loulou Sucre on Facebook! I subscribed to the LouLou mailing list and am following the blog. I'm following LouLou on Pinterest. I follow on GFC and her mailing list. Thanks so much for hosting this giveaway!! !